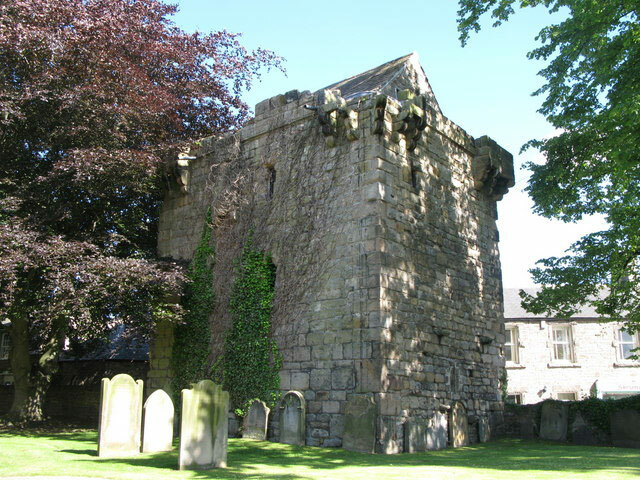 Corbridge Vicar's Pele is a stone early 14th century three storey pele-tower close to the church which was used used by the Vicar of Corbridge as a defence against raids from Scotland until the early 17th Century. It was constructed from stone removed from the 2nd century Roman fort at Corbridge. It fell into ruins but was restored in the early 20th century and now is in good condition and the best preserved vicar's pele in the county. In 2018 it is being used as a micro pub and brewery.